Accessories are the icing on the cake for any well designed space. Thoughtful styling elevates a room to magazine quality status and makes a room feel complete. Editing: Most of us are guilty of having too much "stuff". After time, we become so accustom to own clutter we don't realize the stress it causes us, and how it prohibits us for truly living well in our own homes. So often we have beautiful and meaningful objects that we can't see or enjoy because of excess clutter. Editing is carefully pulling back the layers of what we own and prioritizing what we would like to keep and showcase. Whether it's family photos, antique pieces or a favorite collection, we can help to tell your story by highlighting what's important to you. Accessory Plan: Once we've edited, the fun begins of curating a collection of accessories that reflect your style and overall aesthetic. 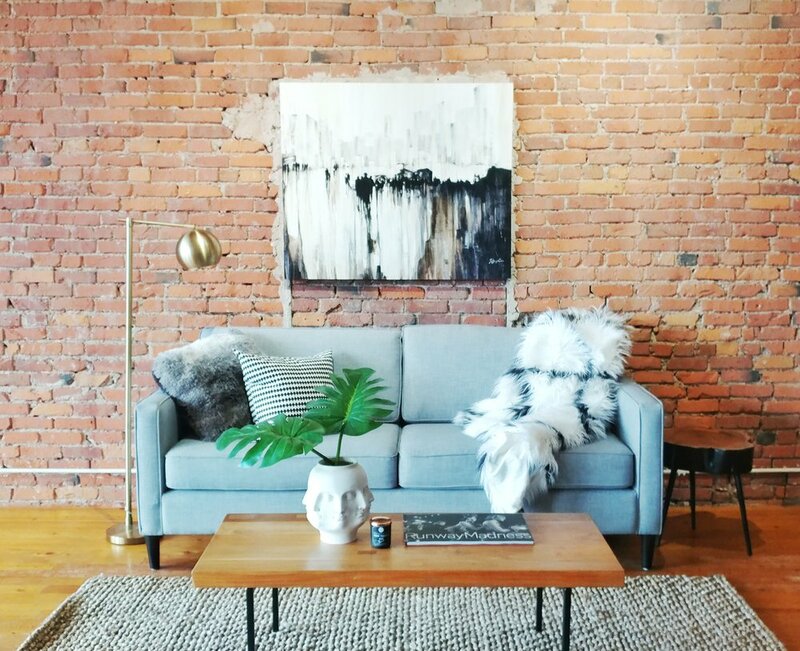 We'll find pieces that provide beauty, contrast, interest, and balance to your space. We never want your home to look like a page out of a catalog, but rather tell the story of you and your home. Styling: We'll take care of purchasing your new accessories and bring them to your home for styling. We'll incorporate the new pieces with your current furniture and favorite objects for a gorgeous, cohesive end result. Head over to our contact page to find out more about our styling services!